You know that feeling when you’ve been herding a pack of wild hyenas all day? We mean, when you are on a road trip with children? Yeah, that feeling… is it all coming back to you now? Now take a deep breath, its ok- we’re here to help. HYATT house Minot and Lulu Lane have teamed up to give you our top 10 survival tips for traveling with children. With a little planning, your next family adventure to North Dakota can be a success. Pack what your kids want to wear! Carisa from Lulu Lane shares that when her son was 2 years old he decided that he didn’t like the shorts she had for him and proceeded to scream b l o o d y m u r d e r in the hotel room. For your sanity, pack what they like. Avoid the clothing wars by shopping at Lulu Lane and selecting the latest on-trend fashion for your picky dresser. No one wants hangry kids- pack some snacks! We’ve all been there, the kids are antsy and over-done, and you must have left your patience at the last rest-stop. You pull up to the gas station and all you can find are sugary or salty snacks. Plan ahead! Pack some healthy alternatives in Lulu Lane’s re-usable snack pouches and hit the road. Plan for frequent stops! 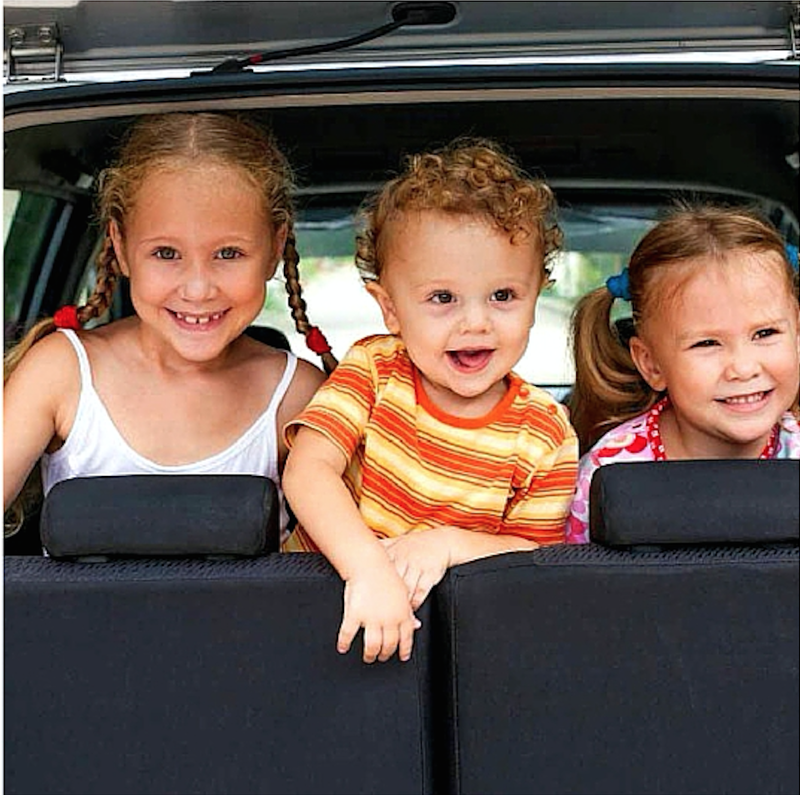 Traveling with kids requires stops, so plan for it and it will alleviate your stress. Hold the liquids until about 30 minutes out from your destination rest stop and that way you can time your rest stops without adding extras along the way. Vomit happens. There is nothing worse than that moment when you realize that in the back seat your kids are reenacting a scene from the Exorcist. Your car, your clothes, your fabulous trip ruined by projectile vomit. Plan ahead and bring extra plastic bags, just in case. Download board games and movies. Gone are the days when slug-bug and sign ABC’s are the only options for long drives. Bring extra chargers and fill your kid’s time with games and books. Then, on your ride back, have new games for them to try out. Don’t inflate floaties before you get to the lake. Need we say more? Carisa from Lulu Lane made this mistake herself this summer and vows to never again go this route. It changes the climate control in the vehicle and makes for a very uncomfortable and HOT drive to the lake. Pack the favorite stuffed animals and blankies. Avoid family vacation-killing melt-downs and be sure to pack their lovies. Let your kids help with the travel plans! Even if you simply give them the decisions between which gas station to stop at and which fast-food burger joint will be your quick-lunch during the trip, this will go miles toward better behaved children. Your attitude matters; set a positive tone and your crew will follow. If you are determined to have a great experience, then your family will take a cue from you. Super-mom status intact. Choose a place to stay that offers all the amenities of home such as spacious guest room suites and full kitchens for your entire family to stretch out in. A hotel that serves complimentary breakfast in the morning will put a little less stress on your wallet. Lorena Starkey from Hyatt House says choose a hotel with an indoor swimming pool it will provide your kids hours of free entertainment. From all of us at HYATT house Minot and at LuLu Lane, we wish you happy travels and amazing experiences that leave memories that last a life-time. Make sure HYATT House hotel in Minot, North Dakota is in your future travel plans and stop by LuLu Lane for the latest in baby, maternity, and children’s fashion. This guest post is by Lorena Starkey from HYATT house Minot in collaboration with Carisa Opperude from LuLu Lane.